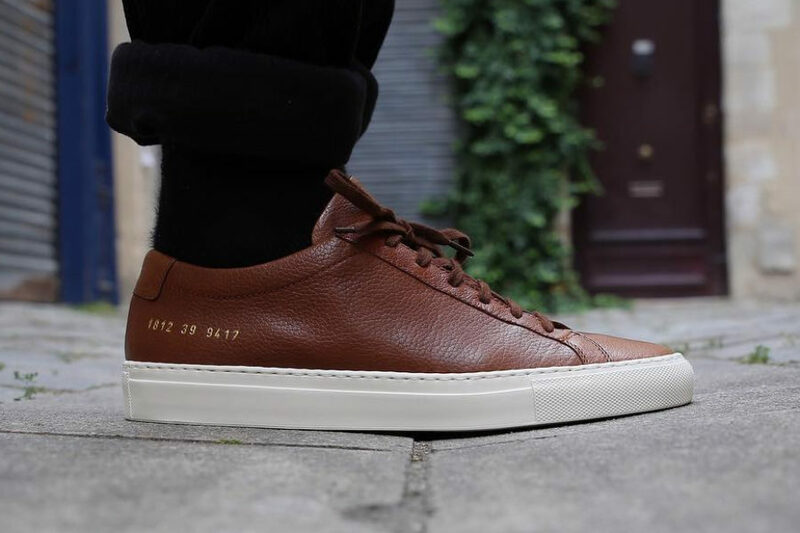 Simple yet sleek, Common Projects’ ‘Original Achilles’ sneakers are a reliable style with a cult following. This charcoal suede version is set on tonal rubber soles, offering optimal durability and comfort – jut what you’re looking for during the winter months. White Mountaineering ranks design, utility and technology (in that order) as its priorities, so it comes as no surprise that the Japanese brand partnered with adidas Originals to make these sneakers. 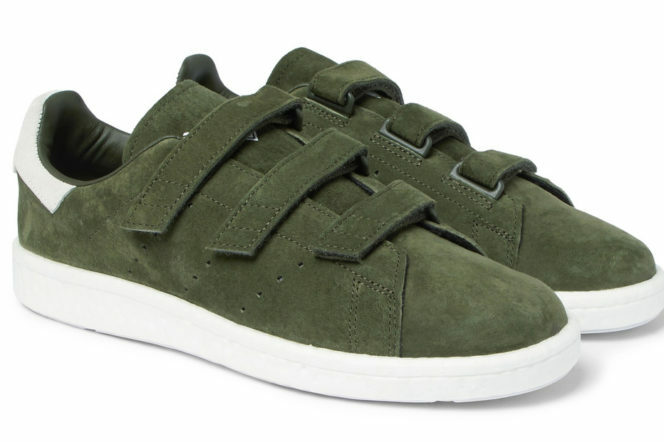 Cut from suede in the sportswear giant’s iconic ‘Stan Smith’ profile, they’re fitted with Velcro tab fastenings for a firm but comfortable fit and have aerating perforations. 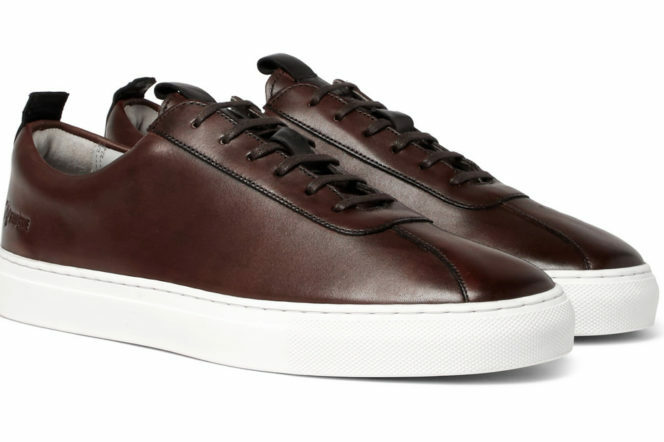 Reimagined in rich burgundy and black – and so perfect for your winter style – Lanvin’s signature low-top sneakers are made from a tactile combination of plush suede and glossy patent-leather. The classic cap-toe construction gives them a slick finish, while the durable rubber soles ensure a sturdy stride. 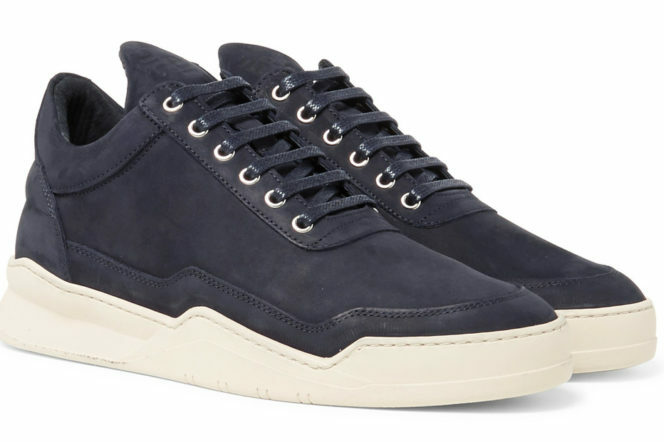 Another entry from Lanvin, and designed with clean lines and minimal details, these sneakers have garnered a cult following. 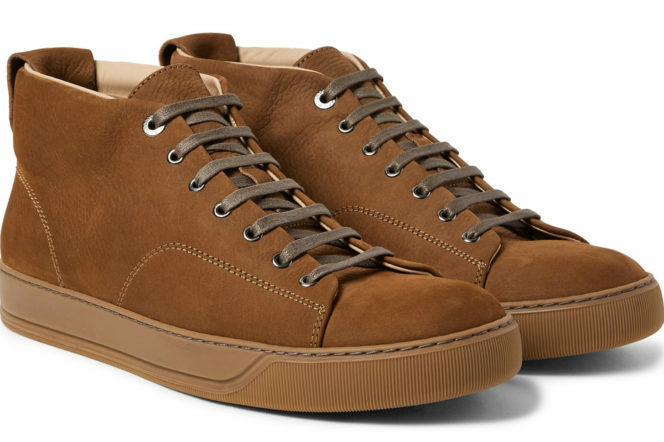 This high-top pair is made from smooth brown nubuck and set on tonal rubber soles that enhance the streamlined shape. Keep your hems short to ensure they get the attention they deserve – and relish the fact that you own a rare pair of suede shoes that can beat the winter weather. 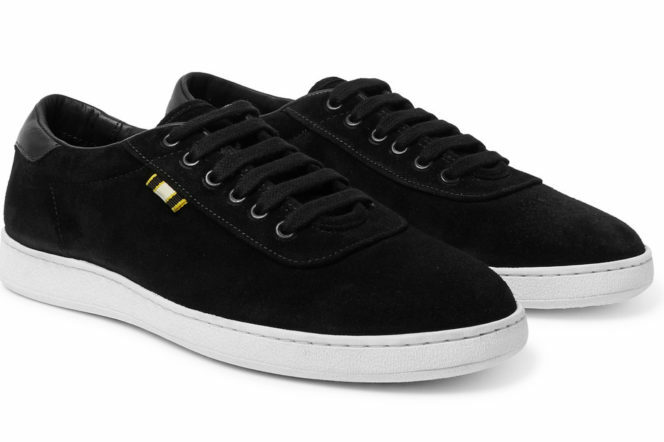 Inspired by American skate shoes – but perfectly acceptable across the pond as well – Aprix’s sneakers are made for non-uniform days and chilled weekends. This minimalist pair may have plush Italian suede uppers, but the Creative Director Brendon Babenzien encourages you to get them a little scuffed up to add to their character – something rough winter weather will no doubt take care of. 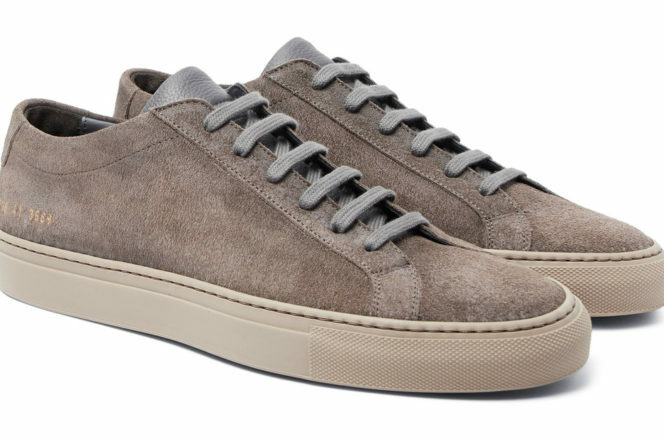 A little lighter than the usual winter sneaker, Common Projects still know how to get things right. 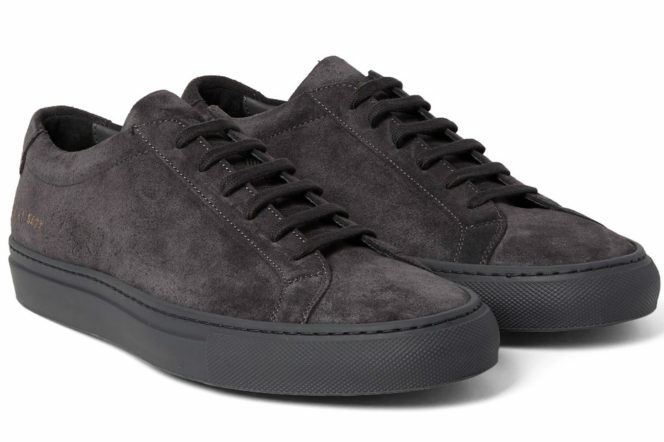 The latest addition to the now-iconic ‘Achilles’ style, this ‘Low’ pair is made from supple grey suede and has tonal leather tongues and rubber soles. 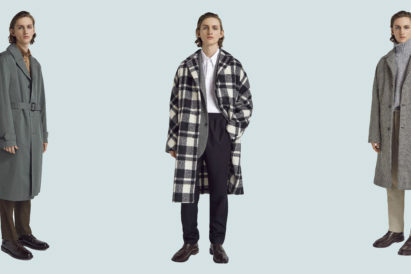 The subtle contrast only serves to enhance the streamlined shape, and bring a touch of summer brevity to your winter wardrobe. Adidas Originals’ ‘SPZL’ line features designs sourced from the archives and given a modern update. 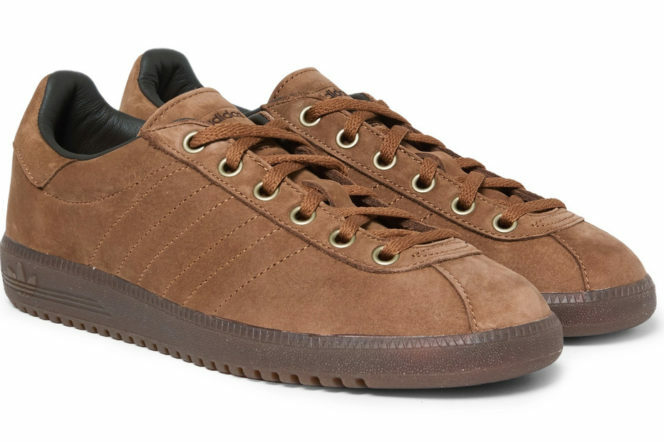 Case in point, these ‘Super Tobacco’ sneakers are based on a heritage model that dates back to the ’70s with a straight toe overlay for a contemporary spin. 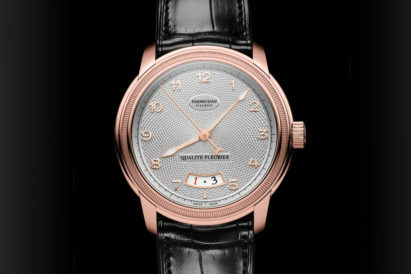 Thankfully, the signature pared-back shape and iconic 3-stripe stitching remains the same – and is a great earthy look to rock this winter. 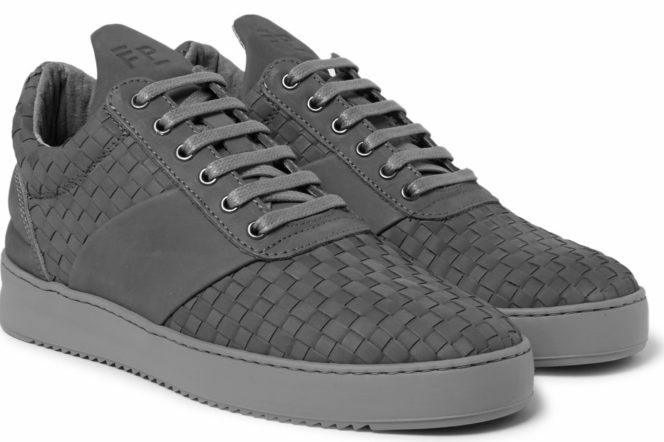 All of Filling Pieces’ sneakers are made by hand in Europe. This charcoal pair is crafted from tactile nubuck finished in a basketweave and set on serrated rubber soles to ensure a steady footing – an incredibly striking look, and something new for the winter season. These Grenson sneakers are stamped at the heel with the maxim ‘The Good Shoe’ – an assessment we heartily agree with. Crafted from smooth dark-brown leather, they’re hand-painted to achieve a richly burnished patina and set on fuss-free white rubber soles – with autumn colours that’ll see you straight and stylishly into winter. Although Filling Pieces’ ‘Ghost Lean ‘ sneakers have a low-top shape, they’re designed with the label’s elongated tongue and padded collars that make them look as though they hit higher on the ankle. That’s the kind of higher coverage you’ll want when the puddles start forming, but don’t fear – the handsome handmade shoes are crafted from supple – but weatherproof – navy nubuck and set on futuristic ‘FP Ghost’ soles. 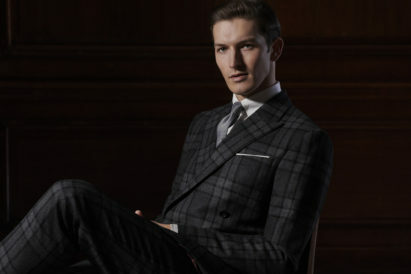 The latest issue of Gentleman’s Journal features The Brit Pack. 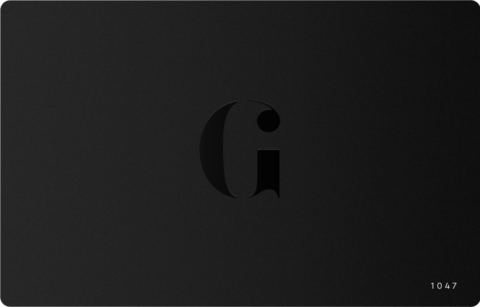 To receive the latest in style, watches, cars and luxury news, plus receive great offers from the worlds greatest brands every Friday.